Step 1: Obtain one current printed and electronic 2×2 inches (5×5 cm) photograph. Further information regarding the photograph requirements may be found at Photo Requirements. Step 2: Complete the DS-160 online application form Apply For a Nonimmigrant Visa and print the confirmation sheet (barcode) for each applicant. Step 3: Go to the Visa Appointment Service website Welcome, U.S. Nonimmigrant Visa Applicants In order to complete this step, you will need the following: and create an account (e-mail and password), choose the appropriate visa category, select the DHL branch where you want to pick up your passport and visa after the interview, pay the application fee (MRV fee) and schedule the appointment. Certain young applicants may be able to apply without a visa interview. Qualified applicants can drop-off the required documentation at the selected DHL location. The applicant is younger than 14 years old. The applicant’s last visa application was not refused. Step 1: Obtain one current printed and electronic 2″ x 2″ (5cm x 5cm) color photograph. Further information regarding the photograph requirements may be found at Photo Requirements. Step 3: Go to the Visa Appointment Service website Welcome, U.S. Nonimmigrant Visa Applicants In order to complete this step, you will need the following: and create an account (e-mail and password)under the minor’s name, choose the appropriate visa category, select the DHL branch where you want to pick up your passport and visa after the interview, pay the application fee (MRV fee). Valid passport in good condition. 2″ x 2″ (5cm x 5cm) color photograph. Original or certified copy of child’s birth certificate. Copies of parents’ valid U.S. visas or a copy of bio info passport page if eligible to travel to the U.S. under the Visa Waiver Program (VWP). The parental information submitted should be in the same name as the parental name that appears on the applicant’s birth certificate. Do not submit parents’ actual passports with visas. Please verify that you are submitting all the required documentation. Incomplete applications will not be accepted. The Consular Section reserves the right to retain copies of documentation submitted with your visa application. The interviewing Consular Officer reserves the right to request an interview or to request that those exempted from the fingerprint requirement be fingerprinted in order to complete the interview process. Passports with approved visas will be returned via DHL courier service to the DHL location chosen by the applicant when creating the account. DHL can only hold your visaed passport for 30 days. After that time, the passport will be returned to the Embassy. 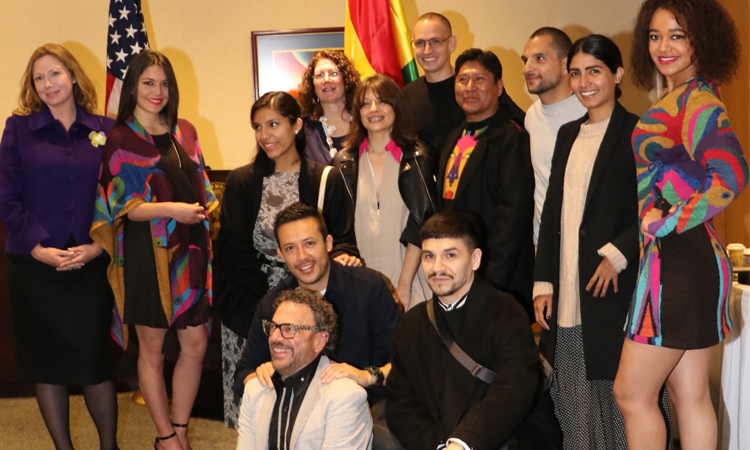 Any passports left at the Embassy after 30 days will be considered abandoned and returned to the Bolivian Immigration Office with the visa cancelled. Certain elderly applicants may be able to apply without a visa interview. Qualified applicants can drop-off the required documentation the selected DHL location. The applicant is 80 years old or older. The applicant is a Bolivian citizen or holds a valid permanent identity residency card of Bolivia. Step 3: Go to the Visa Appointment Service website Welcome, U.S. Nonimmigrant Visa Applicants In order to complete this step, you will need the following: and create an account (e-mail and password), choose the appropriate visa category, select the DHL branch where you want to pick up your passport and visa after the interview, pay the application fee (MRV fee). Qualified applicants can send the required documentation through DHL. he/she will have to schedule a regular visa appointment. The visa you wish to renew falls into one of the following categories: B1/B2. You are applying for a visa of the same category as the visa you wish to renew. with a resident identity resident card. You have a valid passport in good condition. The visa you wish to renew was not reported as lost or stolen, and was not revoked. DHL. See menu items above. The visa you wish to renew is a multiple-entry visitor visa that was issued for 5 or 10 years. The visa is current or expired less than 12 months ago. Step 1: Obtain one current printed and electronic 2″ x 2″ (5cm x 5cm) color photograph. .
Further information regarding the photograph requirements may be found at Photo Requirements. the confirmation sheet (barcode) for each applicant. Step 3: Go to the Visa Appointment Service website Welcome, U.S. Nonimmigrant Visa Applicants. Urgent medical care in the U.S.
Serious medical condition of an immediate family member who requires your presence in the U.S. Important Note: An expedited appointment does not guarantee visa issuance. If the Consular Officer determines during the visa interview that the reason for which the emergency request was approved is not consistent with the actual purpose of your trip, it may have a negative impact on the outcome of your current or future request(s). In order to request for emergency appointment, you must first apply for a regular appointment. Sign in to your account at the Visa Appointment Service Welcome, U.S. Nonimmigrant Visa Applicants. Select the option “request expedite” at the top of the site’s home page. Follow the steps indicated and wait for the response sent to the e-mail address used when creating your account. Some visa applications require further administrative processing, which takes additional time after the visa applicant’s interview by a consular officer. Applicants will be advised of this requirement. Most administrative processing is resolved within 60 days of the visa interview, but the timing will vary based on individual circumstances of each case. The Consular Section recommends that individuals apply for visas well in advance of their proposed date of travel, and not make final travel plans or purchase non-refundable tickets until the passport and visa have been received. Date of the robbery or date in which you believe your passport with the visa was lost. Passport number of your lost or stolen passport. Cedula de Identidad or Cédula de Extranjería number. A visa cannot be transferred to a new passport and there are no replacements in case of loss or theft. To apply for a new visa, please follow the regular visa application process (https://ceac.state.gov/genniv/) . If you need to travel to the United States for a medical emergency/treatment, business or study purposes, you will find how to request an expedited appointment on the same Nonimmigrant Visas (https://bo.usembassy.gov/visas/nonimmigrant-visas/) page. Please note that once a passport with a U.S. nonimmigrant visa has been reported as lost or stolen to the US Embassy, the visa is electronically cancelled. It means that, even if it is later found, the visa may not be used to travel to the United States. IT IS MANDATORY TO SUBMIT THE INTERPOL REPORT ON THE LOSS / STOLEN PASSPORT WITH VISA AT THE MOMENT OF PRESENTING A NEW APPLICATION. · The full name of the applicant and your relationship to him/her, if applicable. * Before contacting the Consular Section, applicants should keep in mind that certain visa applications require further administrative processing, which takes additional time after the visa applicant’s interview. When further administrative processing is required, the timing of a final decision will vary based on the individual circumstances of each case, although most are resolved within 60 days of the visa interview. 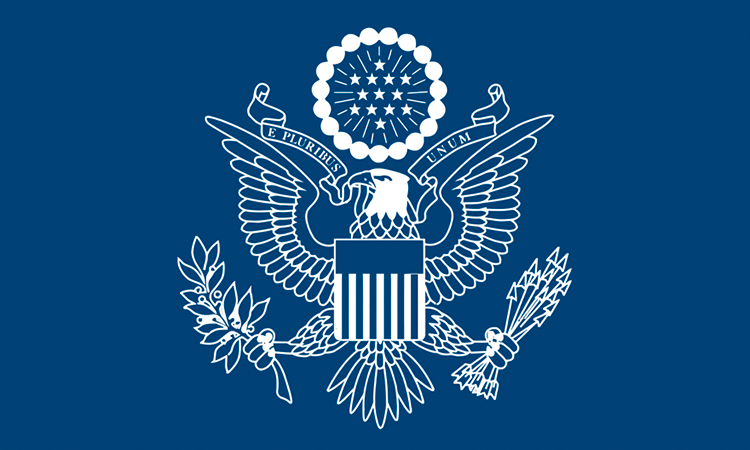 U.S. Embassy La Paz’s Consular Section recommends that visa applicants apply well in advance of their anticipated travel date and wait until they have received their passport with the U.S. visa before making travel plans or buying non-refundable tickets. Before sending an email to the Consular Section, we encourage you to carefully read the information provided on this website and the visa appointment service’s one in order to find a quicker answer to your question. Emails for which an answer is not provided here or at the visa appointment service website are usually answered within 5 business days.